We source a wide range of chocolate items in both our Eilliens Brand and private brand offerings. With high quality items ranging from premium Dark Chocolate Grand Marnier Pecans to every day favorites like Chocolate Covered Peanuts and Frosted Pretzels. 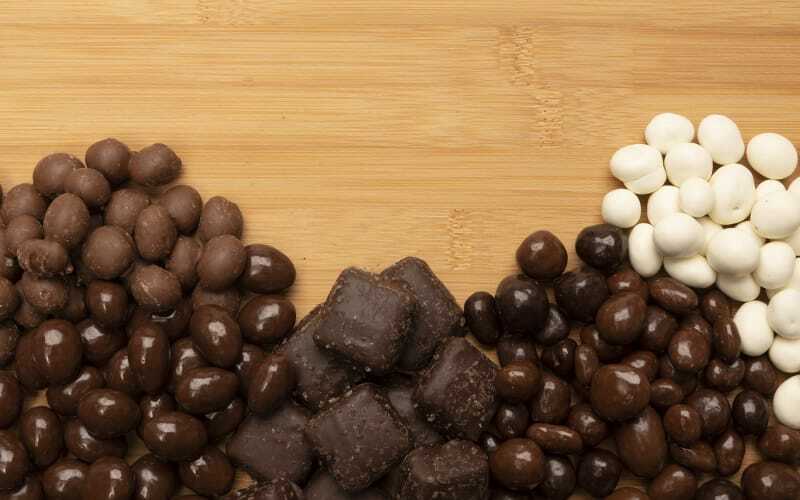 We offer items including dark chocolate, milk chocolate, white chocolate, candy, toffee and yogurt coated items such as nuts, dried fruits, pretzels, caramels, espresso beans, gummies and so much more! We pride ourselves in continually exploring additional items to add to our more than 30 delicious chocolate options. These great chocolate items are also used in many of our Snack Mix offerings.